It's time to move on and end your relationship with your current Mac. You had good times together; you'll always have memories of the best moments you shared. But there's a better Mac now, it may be faster, have a better display, or be lighter and more portable. While break-ups are always tough, it's good to make this one as smooth as possible. Your Mac contains a lot of personal information, and is connected to a number of Apple accounts. 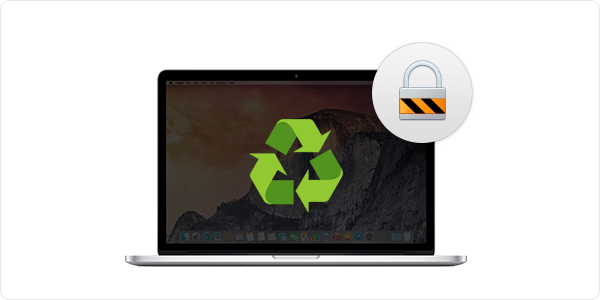 When you plan to dispose of your Mac — whether you sell it, give it away, or send it for recycling — there are a number of things you should do to make sure your data and your accounts remain secure. There are also a few steps you need to take to remove that Mac from Apple's accounts. Before you do anything else, back up your Mac. You should back up all your files, and even clone your Mac's drive. 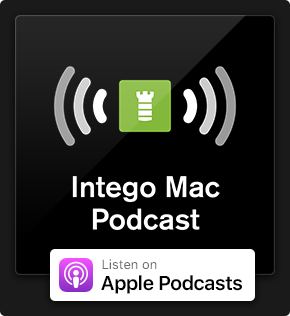 You may have a Time Machine backup, and that's great, but if you clone your drive, using Intego Personal Backup, you can copy that clone back to your new Mac to start using your computer quickly. You won't need to download or reinstall apps, and you'll have all the settings you've been using on your Mac. Of course, you may want to do a clean installation; there are good reasons for that. In fact, we have an article that discusses this question: Setting Up a New Mac: Should You Migrate or Do a Clean Installation? But a clone is the most secure way to save all the data on your Mac. The next step is to deauthorize your Mac with the iTunes Store. This is easy; go to iTunes, choose Account > Authorizations > Deauthorize This Computer and follow the instructions. This is important, because you can only authorize five Macs with an iTunes Store account, so if you have other computers, it's best to make sure the one you're getting rid of is no longer linked to your account. If you have an account with Audible, the audiobook vendor, you can also deauthorize that account from the Account > Authorizations menu. There's one more account you need to sign out of: your iMessages account. In Messages, choose Preferences > Accounts, click your iMessages account, and then click Sign Out. Once you've signed out of all your accounts, and you're sure you've got a reliable backup - and two backups is even better - it's time to erase your Mac's drive. You can't just delete your files; anyone who uses disk recovery software on the drive would be able to recover a lot of your files. Read this article to learn how to securely erase your hard drive. There may be a shortcut to this process, however. If you use Apple's File Vault to encrypt your drive, you can simply erase the drive. Since the drive was already encrypted, it won't be possible to recover files. If you're planning to sell this Mac or pass it on to someone, it's a good idea to install macOS. You can do this by connecting your clone drive, if you have saved the installer, or by using the macOS Recovery partition. If you do the latter, you'll be downloading the full installer from the App Store. If you have limited bandwidth, this could take a while. I generally find it best to save the installer when I use it on my Mac, then, when I'm disposing of a Mac, I connect my clone, boot from that drive (press the Option key when you start up the Mac to select the startup drive), and run the installer from there. If not, follow Apple's instructions to reinstall macOS. Note that, unlike specific apps you may download from the App Store, macOS is not linked to your Apple ID. So you can install it on the Mac and anyone can use it without needing to sign into your account. If you're selling your Mac, or handing it down to a family member or friend, then a good cleaning is in order. I discuss cleaning a Mac at the end of this article about spring cleaning. Be especially careful about cleaning your Mac's display, so you don't damage it, but give it a good clean to make sure it looks as good as possible. If the Mac is no longer functional, or if it's too old, you can recycle it. Apple's recycling program will take any of your devices and recycle them. They may even give you a gift card if the computer still has some value. You won't get a lot, but it'll be more than you might get by selling it, with less hassle. I suggest you only use this for a truly old device, however; you won't get enough for a recent Mac to make it worthwhile. And even if the computer doesn't work, Apple's partner will make sure the Mac is recycled as much as possible. You can also take an old Mac to an Apple Store to have it recycled. With this in mind, you can welcome your new Mac into your household. Set it up and get to work, and appreciate your new computer. Stay tuned to tips next week on how to securely set up your new Mac! 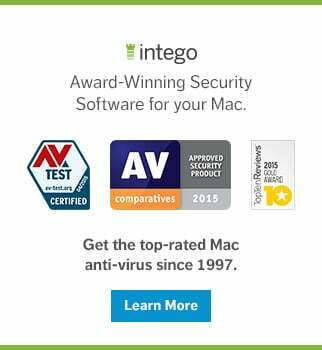 This entry was posted in How To, Recommended, Security & Privacy and tagged Mac. Bookmark the permalink. Take out the HD and hammer it to death. That’s the best way. It’s the Clinton-approved method for data security.